These are a great addition to any holiday cookie lineup. The cookies are minty and pretty! They are rolled in a sugar/crushed peppermint mixture before baking. So, they come out really sparkling! 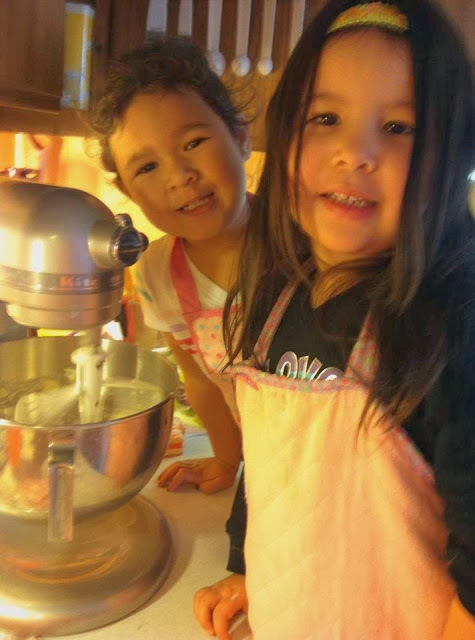 I let my helpers choose our cookies for a baking morning we had last week. They chose these and the Cherry Chocolate Shortbread Cookies I just posted as well. My daughter is the one in the back and her bestest friend ever is the one with the long hair. They did a great job helping me, I'll be putting them to work in the kitchen again soon! 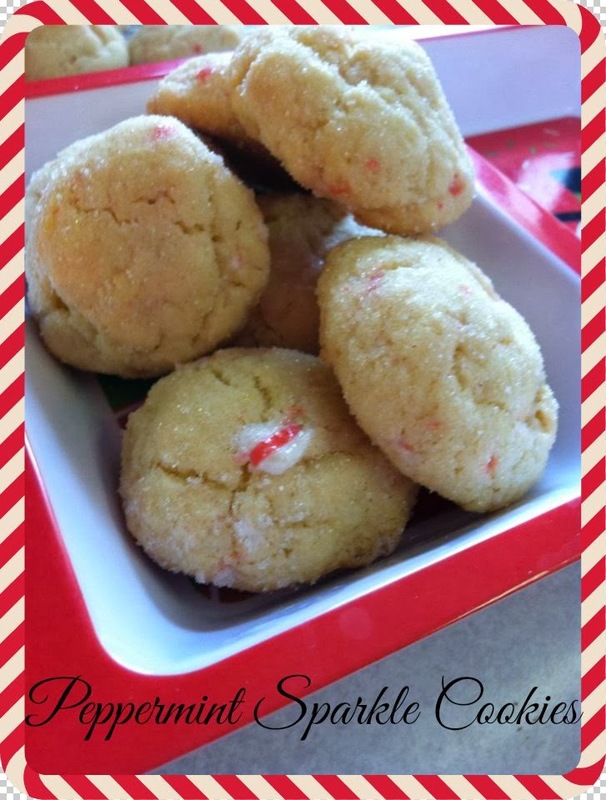 This recipe is great for kids to help with because it calls for crushing peppermint candies. What kid doesn't like to whack a rolling pin over a bag of candy to crush them? Um...every kid I know would love that job! And they loved it for sure! You could use red or green peppermints, depending on your taste preferance, and color choice! Beat in the egg, vanilla and peppermint until creamy. Add the flour, cream of tartar, baking soda and salt. Continue to beat until mixed. Fold in 1/4 cup of the crushed peppermint candies. In a small bowl add the remaining 1/4 cup crushed peppermint candies to the 1/4 cup sugar, stir. Scoop the dough out into 1 inch balls, rolls in the peppermint/sugar mixture and place on baking sheet. Bake 8-10 minutes or until edges are slightly browned. Cool completely on a wire cookie rack.